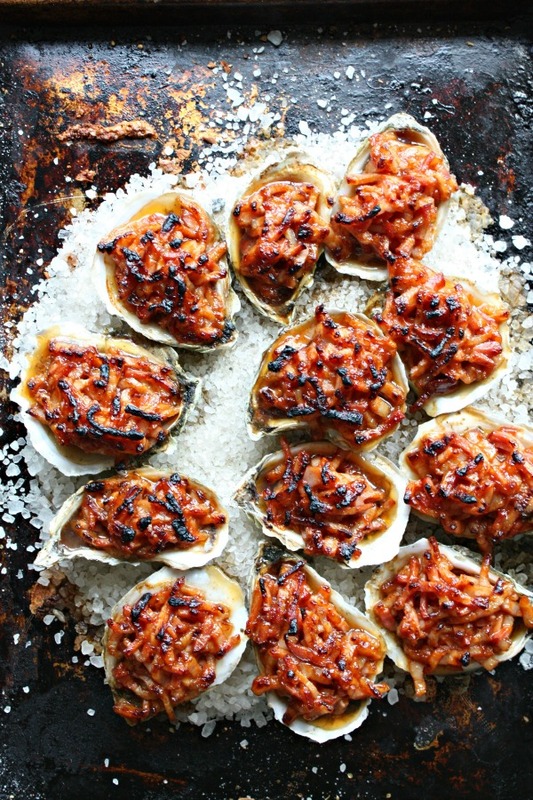 These oysters couldn’t be any more American than if they were served in a pretzel roll with a pickle.Spiced and with a squeeze of lime, the whole thing is this crispy chewy two bite mouthful of perfection and all these flavors and textures are happening at the exact same bloody time. Did I mention it comes with bacon? So right at the center of this oral explosion is that little ball of snot you are so fearful of, delivering the perfect umami pop that no matter your opinion in the beginning, will have you coming back for more like the 50 shades of oyster whore you know deep down inside, you want to be. Now get in here, take your shoes off. 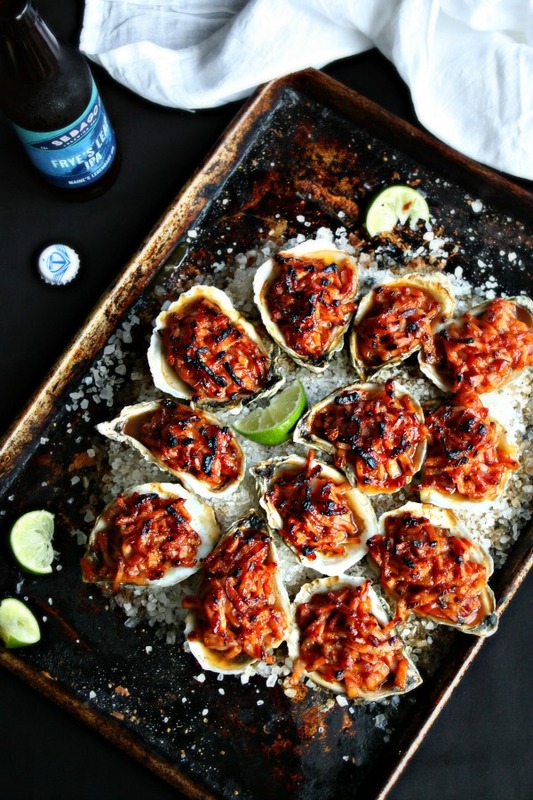 It’s time to get your oyster on! 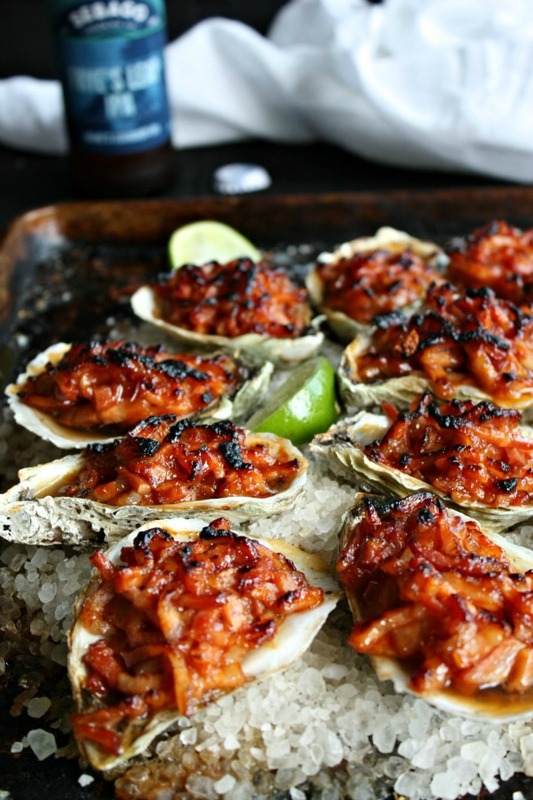 Add a splash of worcestershire sauce to each oyster shell, then top with bacon mixture.